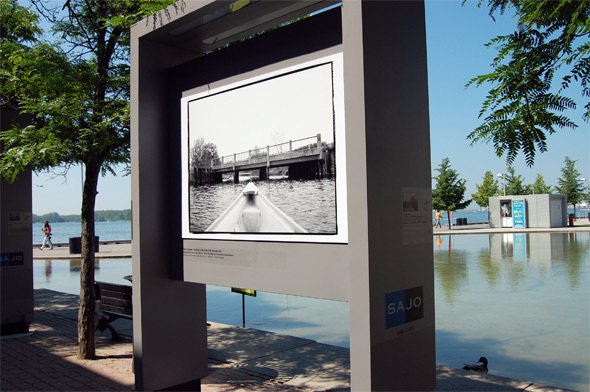 From now until June 2011 the Harbourfront Centre will be hosting a large-scale outdoor photo exhibit that explores the Greenbelt through the eyes of eight up-and-coming Ontario photographers. 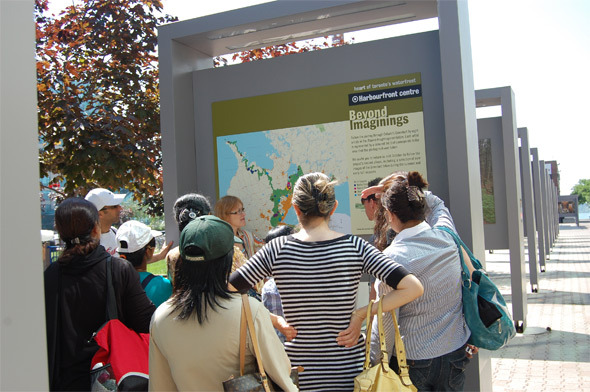 Beyond Imaginings: Eight artists encounter Ontario's Greenbelt examines the land through three thematic lenses: Natural Beauty, Working the Land and People of the Greenbelt. Quick Greenbelt re-cap: In 2005, 1.8 million acres of Ontario countryside (including the Niagara Escarpment, Oak Ridges Moraine and Rouge Park) was legally and permanently protected. The purpose was to "protect key environmentally sensitive land and farmlands from urban development and sprawl." Over 50% of the protected area is farmland, representing about 7,000 farms. The exhibit has been commissioned and curated by the Harbourfront Centre, and I went to check it out on Friday morning. 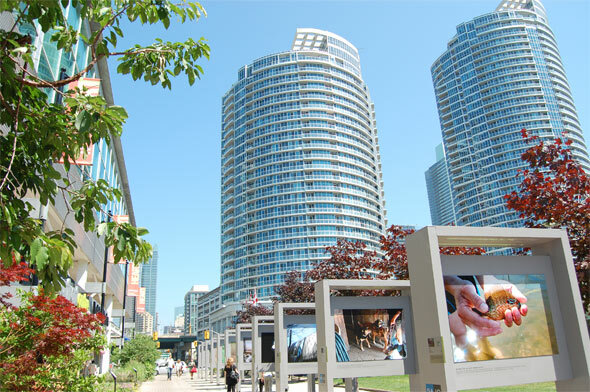 It is the first outdoor exhibit of its size and scale that I've seen in Toronto - 72 large-scale photographs in all. And I happened to be there on a gorgeous sunny day. Following the path of photos through the Harbourfront Centre grounds and down along the water made for quite the morning. I have little doubt that the exhibit will get lots of (well deserved) foot traffic this summer. Some of the highlights for me were the "Natural Beauty" themed photos by Rob MacInnis. He focused exclusively on farm animals, and I thought his photos had the greatest initial visual impact of the bunch. He photographs "farm animals with the same intensity of a high fashion photo shoot." Also channeling the "Natural Beauty" of the Greenbelt was Keesic Douglas who offers up a great series that examines various locations along the Holland River from the perspective of a canoe. Focusing on those "Working the Land" Meera Margaret Singh has a beautiful series of portraits. They have such an ethereal quality to them - like "George" taking a break by laying down in the apple orchard that he works in. 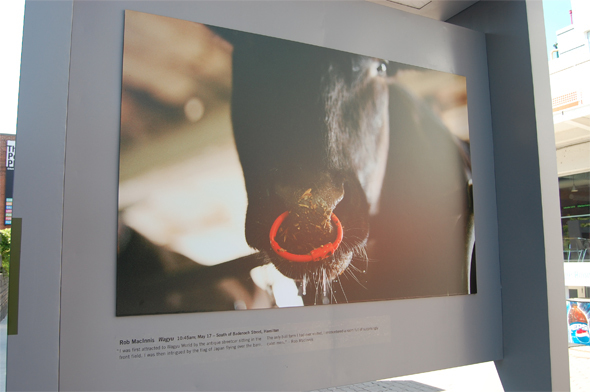 The exhibit runs through June 2011, but will be updated later this year with new photographs taken during the summer and fall. 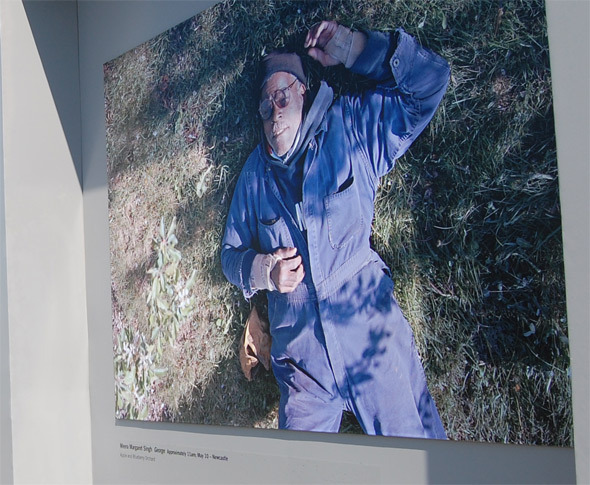 To make the photos available to those who can't make the exhibit, select images and interviews with the authors can be found online at the Harbourfront blog and website. 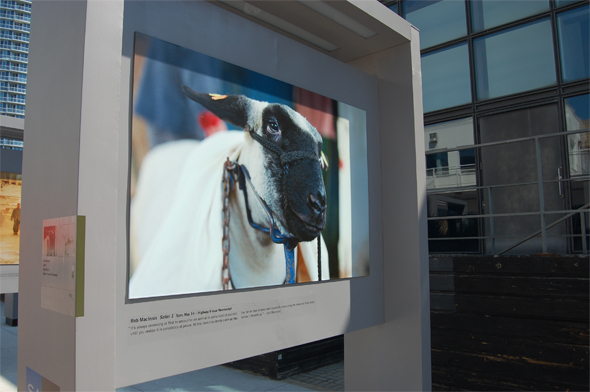 It's definitely worth spending some time checking out the exhibit next time you're by the harbourfront. And maybe it'll even inspire a day-trip or two this summer to see the land with your own eyes. Lead photo by Becky Comber, others by the author.